Italy’s Deputy Prime MinisterMatteo Salviniis under investigation by a Sicilian prosecutor for refusing to allow more than 150 migrants and refugees to enter Italy. Salvini, who is alsoItaly‘s interior minister, is being investigated for abuse of office, kidnapping and illegal arrest, after forcing refugees to stay on a ship at the Sicilian port of Catania for almost a week. Following the news of the investigation, Italian authorities allowed people to get off the ship, hours afterSaturday’s decisionto let 16 people off who were unwell. 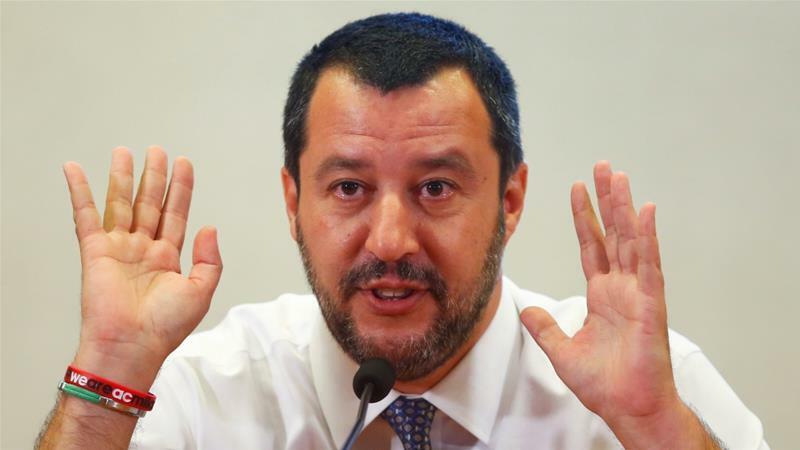 Salvini, leader of the far-right anti-migration League party, responded to the investigation into his conduct onhis Facebook page. The Diciotti vesseldockedat the Sicilian port of Catania on Monday night after rescuing 190 people from dinghies in distress off the Maltese coast in the Mediterranean. The Diciotti is the latest in a string of cases which saw Italy, as well asMalta, refuse or delay the disembarkation of people rescued in the central Mediterranean, often after spending many months in detention inLibya. Under European Union (EU) law, migrants must seek asylum in the country they arrive, leading to regular spats between Italy and its EU partners. The following month, several European countries promised to relocate 270 out of more than 400migrantsand refugees that had arrived in the Sicilian port of Pozzallo. Recent polls say that popular support forhis anti-migration platformhas been increasing since the new government was installed in early June.